Pool or billiard tables are an item which require safe and professional handling during relocation. Our specialised pool table removal team have decades of experience to ensure that every aspect of the move is carried out with the utmost precision and care. A full sized pool table weighs approximately 1000kg and its transportation is underscored by some very specific OH&S rules. Injury can easily occur if an untrained person attempts to move a pool table. The added considerations of dismantling and reassembling at the destination makes this task one that only professionals can truly undertake. Dawson Moving & Storage also offers the option of secure pool table storage. Some customers prefer to have their beloved pool table dismantled some weeks prior to vacating their property in order to free up space temporarily or until they are settled at the new destination. If you are seeking a team of experienced, strong and careful pool table removalists, Dawson Moving & Storage will not let you down. Whether it’s a local move, intrastate or interstate, we will take care of your prized pool table and relocate it or store it with the utmost care and confidence. Are you worrying about moving your beloved pool, billiard or snooker table? For a professional relocation of your pool table that will not blow your budget, we offer pool table relocation services for local, interstate and international moves. Our staff are professional pool table movers and have experience moving various pool, billiard and snooker tables and understand how they are constructed. This helps them dismantle the table with ease, package the table correctly to prevent damage and reconstruct the table at the destination to the original condition. Whether you are moving to a destination within Australia our outside of Australia, we take control of the end-to-end service to ensure your pool table arrives perfectly without delay or defect. Prior to the relocation, we will discuss whether you wish to have the pool table dismantled and packaged in parts to help free up space and save precious time. We can also store the dismantled or complete pool table in secure storage if it is getting in the way. Our staff are more than happy to work with you to make your relocation simple. How Much Does it Cost to Move a Pool or Snooker Table? How these factors will affect the cost will depend on the circumstances of the move. We can help you discuss these factors to ensure our services are tailored to your requirements which results in a cost that is within your budget. No matter how small the moving distance is, we can help you move from one suburb to another. Our staff understand that moving bulky and heavy items can be difficult no matter how short or great the distance. Our staff are familiar with each state and territory in Australia and are capable movers. If you are planning to move to any Australian destination, including Melbourne, Canberra, Brisbane, Adelaide, Townsville, Newcastle, Darwin, Sydney and Perth, we can help you move your pool or snooker table with ease. We have a large network of professional movers and couriers who we trust to undertake our services for our customers. They are familiar with each location and understand the differing rules and regulations. We can relocate your pool, billiard or snooker table to any international destination. We will handle the packing of the table, pick up, transportation to the border, necessary documentation and paperwork, pick up in the other country, transportation to the new destination, and unpacking. We perform all tasks to our customer’s satisfaction to ensure the international relocation of your pool, billiard or snooker table is a success. If you are planning to relocate a pool or snooker table, we can help you achieve the outcome you desire. We have experienced movers, the right equipment and a relocation network to allow us to move your pool or snooker table without difficulty. Our movers undertake their work with utmost precision and care and understand the importance of, and the sentiments associated with, your pool or snooker table. Why Choose Us as Your Pool Table Removalists in Australia? A pool table is a heavy and bulky item that needs to be handled with care. 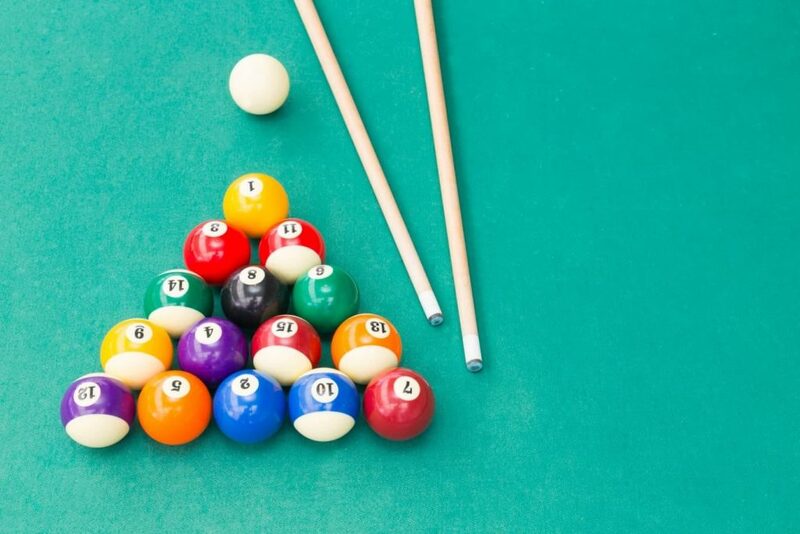 For most people, many precious memories will involve a pool table as you played hours of pool, billiards or snooker with family, friends, and colleagues. It is important the carriage of the pool table is undertaken in a careful manner so the table remains intact and in the same condition. Satisfying our customers with professional services. Contact Us for A Billiard Table Removal Quote Today! For your billiard table relocation needs, obtain a quote from us today. At Dawson Moving & Storage, we strive to make the local, interstate or international relocation as simple as possible. Our staff, couriers and network of relocation professionals understand the importance of a successful and pleasant relocation. Call us today on 1800 066 846 (toll free) or visit us online to obtain a quotation for your pool, billiard or snooker table removal immediately.